Domingo Is A Great Pick-up For Head Coach John Thompson III And Georgetown. Domingo A Big Pick-up For the Hoyas. Georgetown has been working hard on local guys in the Class of 2013 such as point guard Rysheed Jordan, shooting guard Davon Reed and center BeeJay Anya, but the Hoyas went to the opposite end of the country to pick up their first commitment in the junior class as small forward Stephen Domingo, a California native, made a verbal to head coach John Thompson III. Domingo is actually the second California wing to commit to Georgetown as Hollis Thompson a Los Angeles native. Domingo also has ties to the nation’s capital since his grandparents are D.C. residents and his mom is a District native. 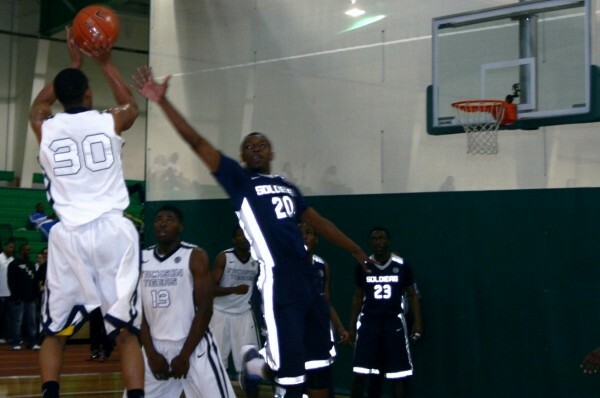 Domingo is a great pick-up for the Hoyas since he is a great shooter with terrific range and a smooth stroke. He can knock it down off the bounce or in catch-and-shoot situations and has great height and length. Georgetown is also chasing after point guard Tyler Ennis, small forward Nick King and power forward Jermaine Lawrence in the Class of 2013 although they may be out of the race for top-100 small forward Josh Hart now. Junior Stanford Robinson on why he committed to the Hoosiers: “[Indiana head] coach [Tom] Crean, we connected very, very quickly. We shared a lot of laughs, he presented his plan of where he sees me fitting in and how I could play a part in it. Stokes Exploring His Options. 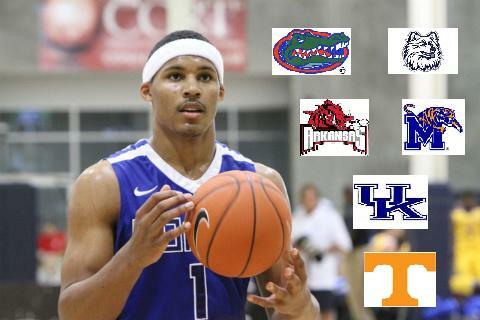 Class of 2012 power forward Jarnell Stokes saw his chances of playing high school basketball for Southwind High School (TN) disappear last week, and this week he’s strongly considering graduating high school early and enrolling in college in January. Remember, Stokes has yet to commit and has a top six of Kentucky, Memphis, Tennessee, Arkansas, Florida and Connecticut so he’d have to commit very soon. The 6’8″, 250-pounder says he’s been preparing to attend college next semester and that he has other options available to him that he doesn’t want to reveal just yet. 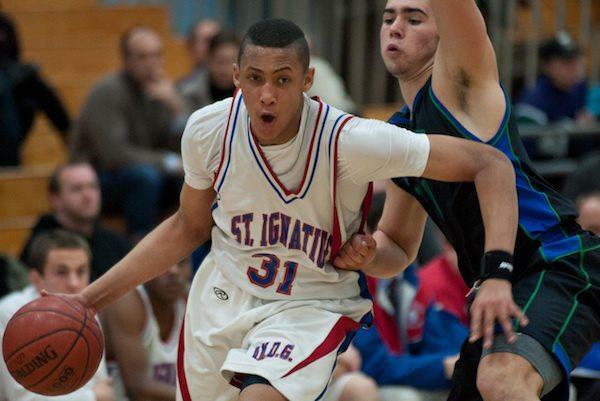 Four of the schools Stokes is considering — Arkansas, Connecticut, Florida and Tennessee — have athletic scholarships available for Stokes if he were to enroll in January and he could also qualify for an academic scholarship at Memphis, leaving Kentucky as the only school that he’d have to pay for. Stokes says he has no timetable right now and doesn’t know when he’s going to commit, but he’s going to have to make a decision in the next few weeks regardless of what he wants to do.